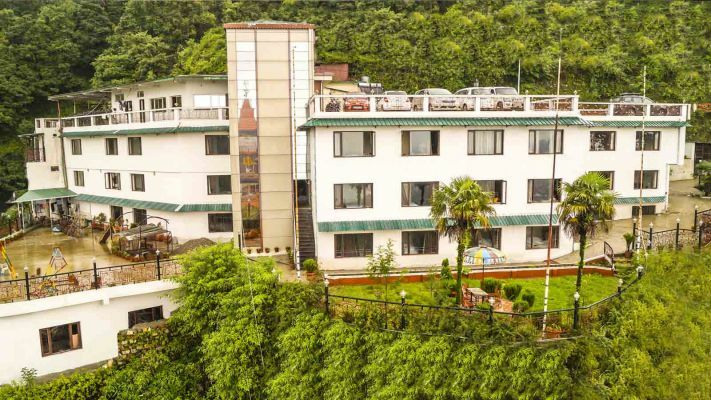 Hotel Basera located on the scenic Spring Road, just away from Library Gandhi Chowk and next to the 9 manzil temple, HOTEL BASERA offers you a beautiful view of the Shivalik range, Doon Valley, the picturesque Mussoorie town and their breathtaking glittering lights by night. The awesome winter line of the Queen of Hills is also visible in its unrestricted magnificence. AMPLE PARKING. CLOAK ROOM. EMERGENCY MEDICAL-AID. EVENT MANAGEMENT - BONFIRE, CHILDREN PARK, NATURE WALKS, HORSE RIDING, SKATING FLOOR, BADMINTON. INDOOR RECREATIONS- MUSIC, CARROM, CHESS, TABLE TENNIS, LIBRARY, TAMBOLA, INTERNET, FAX SERVICE LAUNDRY, LCD-TV, INTERCOM NEWSPAPERS & PERIODICALS. OPEN TERRACE GARDENS WITH TELESCOPES FOR NATURE LOVERS. PROMPT ROOM SERVICE. ROOM HEATING ARRANGEMENTS. TRAVEL & SIGHTSEEING INFORMATION.